I use baking soda every single day, for oral hygiene, as a skin exfoliant, deodorant, kitchen cleaner and baking leavening. 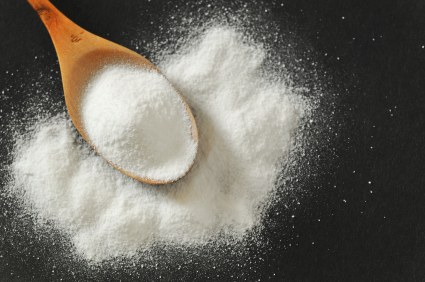 Did you know there are even more reasons to love the magical powers of baking soda? It’s an inexpensive non-toxic product that can help clean drains, calm irritation, smooth the skin and clean and deodorize carpets. There are many, many more uses for baking soda below. I discovered this first on LifeHackery, many of which I already, some Idid not. If you haven’t yet taken advantage of this product, you are not only wasting money on other “natural” (or unnatural) cleaning, hygiene and beauty products, you are also missing out on the healing beneficial properties of baking soda. 58. Mix it with water to wash food and drinkcontainers. I like your site and will like to correspond. I never knew about baking soda until now. You are currently reading "75 Uses for Baking Soda"